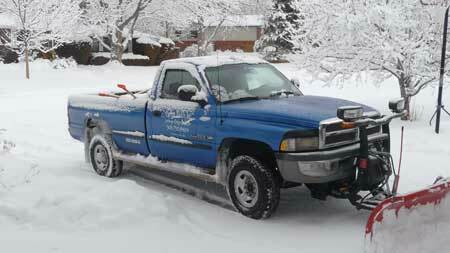 Our snow removal service includes shoveling snow from walkways, and plowing snow off driveways. Services are priced on a per trip basis (usually there is one trip per snowstorm/day). This straightforward pricing system keeps your mind at ease no matter what Mother Nature brings. Save your back! Let us play in the snow, while you go about your day. In the event of a snowfall with high accumulation, additional trips may be necessary. If you have any questions or concerns regarding our service please call our office. We wish to keep your business and are happy to visit your home at all hours and in all weather conditions!